If you are reading this review, you are more than likely one of those people that have tried everything from nasal strips to jaw straps, pillows to herbal medicine, and other different oral devices to help relieve your snoring. 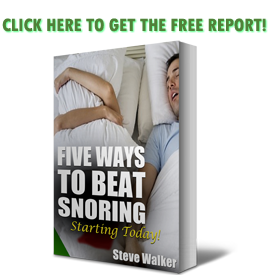 Most people do want to go to the level of having to try a CPAP machine or having surgery to stop their snoring. Oral anti-snoring mouthpiece devices have become infinitely more popular in recent years. They have been found to be far more effective than sprays and pillows, and are definitely more comfortable than CPAP machines, which can be quite awkward. PureSleep is one of those anti-snoring mouthpiece devices. It is a self-molding jaw retainer that can help you stop your snoring and give you a better night’s sleep. The snoring device is FDA-cleared to reduce your snoring by holding your lower jaw forward of its normal position while you sleep at night. The retainer is customized just for you, so you know it is going to be comfortable when wearing the retainer. The customized retainer will be ready for use in just a few minutes. PureSleep comes with an upper and a lower piece that is joined together in three settings, depending on your bite. After the initial two pieces are connected, the device is boiled so it is able to soften the material. Once the materials are softened, you can mold it perfectly to your teeth within seconds. It is very easy to fit the device just for you – not as precise as what I found in my SnoreRX review, of course, but definitely comfortable. You can rest assured knowing how safe PureSleep is to use. This mouthpiece is FDA-cleared and made in the United States. The device is made of high quality safety-tested materials that you can depend upon. The company is accredited with the Better Business Bureau, which definitely distinguishes it from some other manfacturers out there. The PureSleep mouthpiece was invented by a dentist and an ear, nose and throat specialist. This is quite common in the industry – the SleepTight mouthpiece is a better quality example of this. According to the sales literature, the PureSleep has been used in a clinical practice setting for over 15 years to treat snoring. The PureSleep anti-snoring dental device is reasonably priced, although more than a VitalSleep, and just slightly less than our favorite MAD mouthpiece, the ZQuiet. You can purchase one of the devices for just $69.95. Once you decide to get one of the devices, all you need to do is to pay $9.95, which is going to pay for the standard shipping of the product. If you decide to keep the device, you will be billed an additional $59.90 within 30 days. The time will go faster than you think, so if you do not feel that this anti-snoring device is working for you, you have to act quickly! The major drawback with ordering a PureSleep is the massive questionnaire you have to fill out to buy it. Perhaps the company has been sued before (just speculating, of course), but Wow. You have to accept their “Terms And Conditions” before you even get to the questionnaire, which is again weird. The questionnaire itself appears to disqualify everyone that might have TMJ or another jaw or mouth issue, which actually may not be all that bad. After all, if you can’t use it, PureSleep doesn’t want you as a customer. This is fair, but I still feel like it’s a lot of information to provide a somewhat monolithic company. When you receive your PureSleep package, you will receive both pieces of the retainer that you need to custom fit to your teeth and mouth. Additionally, you will receive complete instructions on how to custom fit the device to your mouth. You will also get a handy travel case to keep the device in when you are not using it. The only additional accessory that you may want to purchase for your PureSleep anti-snoring device is the Retainer Brite effervescent tablets, which can also be purchased on the Puresleep website. You can also purchase any effervescent tablets to use on your retainer to keep it at its freshest and cleanest. I didn’t buy the tablets, but they appear to be somewhat like a denture cleaner. Denture cleaners, it should be said, are usually far cheaper than the PureSleep tablets. The device works for many people but there have been some people that have complained about both the comfort and effectiveness of the product. This makes sense, as not every mouthpiece is going to work for every snorer. If you find that MAD mouthpieces do not work for you, you may want to consider a Tongue Stabilizing Device (or TSD) like the Good Morning Snore Solution. Read a review of it here. It is very typical for these types of devices to cause a level of jaw soreness when you first start using them. You will most likely have an adjustment period of a few nights of consistent use to get used to using the PureSleep mouthpiece. It is also very common for your gums and teeth to get sore but the soreness should go away within a few days of using the product on a consistent basis. It is easy to make an error when customizing this anti-snoring mouthpiece to fit your mouth. You need to be extremely careful when fitting the mouthpiece to your mouth. You should follow the instructions completely and carefully. There are some people that need to stay away from the SleepTight product. If you are under 18 years of age, have been diagnosed with central sleep apnea, have serious breathing disorders (including asthma), have dentures, have any loose teeth, have teeth pain, have mouth sores, have any gum disorders, have any type of TMJ or jaw pain, or have braces, you should stay away. Any conditions could worsen with use, so always seek the advice of a dentist or physician if you are unsure if a mouthpiece like this will work for you. I’ve heard from some buyers that the PureSleep anti-snoring mouthpiece really does work. They have said that the device really does a good job of getting rid of their snoring on a nightly basis in a quick and efficient manner. Personally, I didn’t like the feel of it, especially when compared with the superior ZQuiet and SnoreRX. The main problem that people face with the PureSleep anti-snoring mouthpiece is that the device seems to easily wear, which may cause the device to not fit properly in their mouth. You need to use extra caution when fitting this particular device to your mouth so that the device will last a long time. Once you customize the PureSleep device to your mouth, you are no longer able to adjust it whatsoever. It is very easy to buy more of the devices but getting a good fit will save you a lot of money in the long run. Check out the manfacturer’s website here.